In the competitive world of indie comics, Aftershock Comics isn't giving ground as it just announced a new series from John Layman (Chew) and Sam Kieth (The Maxx). 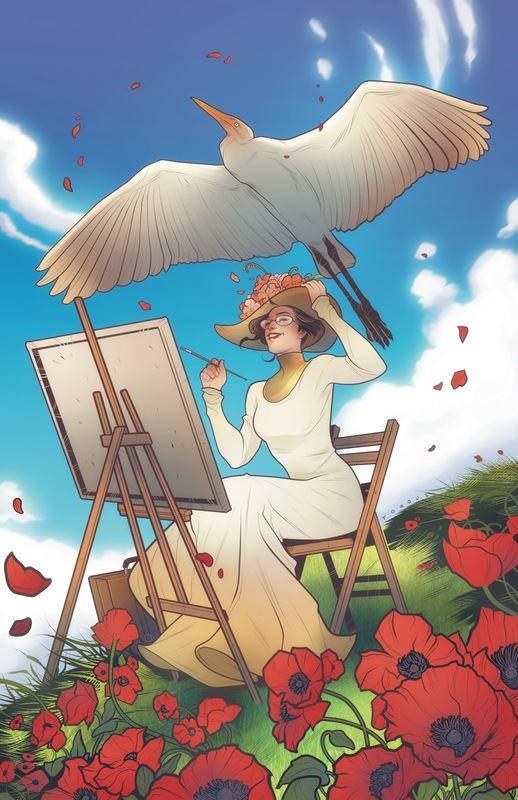 The fan-favorite creators are bringing a new fantasy title, ELEANOR & THE EGRET, to the fledgling publisher this April. "I’m proud to be part of the AfterShock family," Layman said in a press release, "and grateful they are getting behind Sam and I for this very unique and off-kilter book. 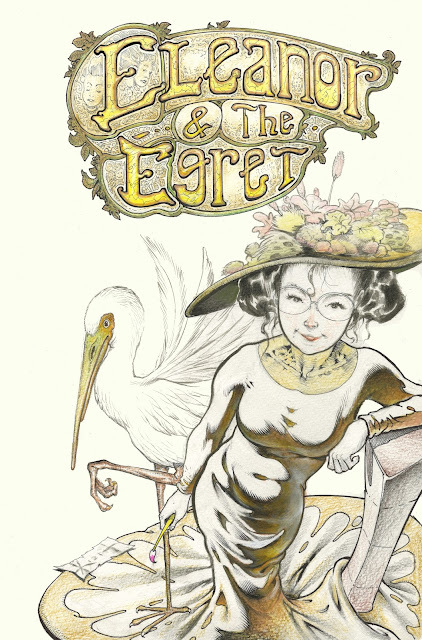 I would describe Eleanor & the Egret as a fable, and a surrealist romance, but it’s probably more easily described as something NOT easily describable. It’s a melding of two unique voices to comics. It’s also just an excuse for me to give Sam cool stuff to draw, and, in that, he’s exceeding all expectations—some of the pages he’s turning in are absolutely breathtaking." Between Layman's dark humor and Kieth's distinctive art style, 'Eleanor & the Egret' should be a fun adventure fantasy series.The new book is described as "a slightly surreal tale of an art thief and her sidekick, a talking egret who gets just a bit bigger after each successful caper." It's the first creator-owned project for the pair and first collaboration since working on "Aliens: Inhuman Condition" for Dark Horse in 2013. Layman and Kieth join an impressive stable of A-list talent at Aftershock that includes Marguerite Bennett, Garth Ennis, Warren Ellis, Paul Jenkins, Mark Waid and others. A slightly surreal tale of an art thief and her sidekick, a talking egret who gets just a bit bigger after each successful caper, as they embark on an escalating series of daring thefts of world-famous paintings, and dodge pursuers in an increasingly weirdly dangerous game of cat-and-mouse.